Christianity grew out of Judaism this process of separation that began in the first century would take several centuries. Especially in the eastern part of the Roman Empire where Christian lived in close proximity to the Jews. It also spread to the West where there was no recorded Jewish population. Christianity started out as another expression of Judaism. A Talmudic reference (Y. Sanh.29c.) when the Temple was destroyed, there where twenty-four kinds of Judaism. There was a wide overlapping between Church and Synagogue on the level of popular piety as well as in the official stance, at list until the end of the fourth century. 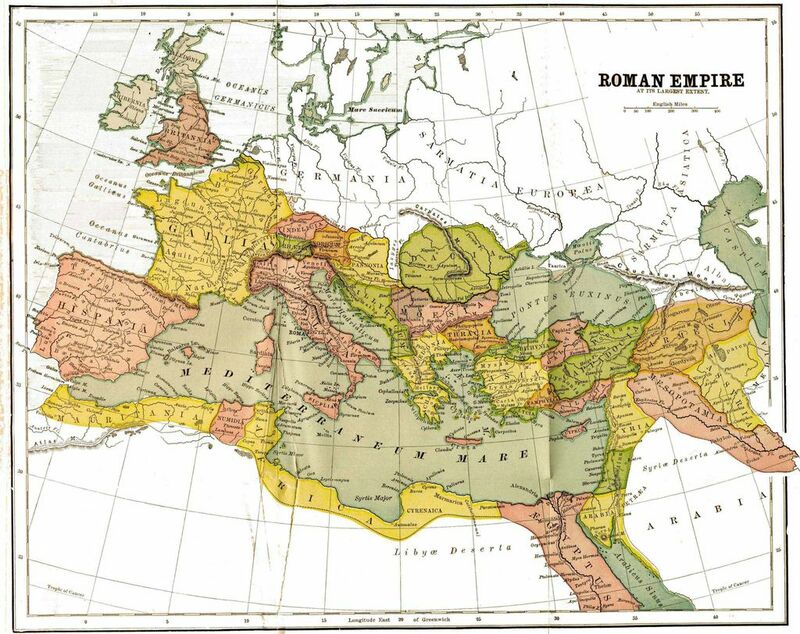 There was a difference between the separation rate between the eastern and the western parts of the empire. The eastern churches tend to hold to more Judaic practises then the western churches. Christianity tended to see itself as the continuation or fulfilment of Judaism. The first century church can be grouped with Samaritans, Ebionites, Essenes, Sadducees and the creators of the Dead See writings, forms of Judaism that did not accept the oral Torah. Like every new religion, Christianity developed stage by stage and the first century Christianity had not only spread among Palestinian Jews but also among Jews in the Diaspora. At the beginning it was a separation between stands of Judaism that did not attach any importance to the person of Jesus and those for whom he was important. Elements that were absorbed into Christian worship sprang from this period of the fist century where early Christian rules and liturgical practice describes in the New Testament or in the church Fathers are similar practise to both the early and later Jewish mainstream and sectarian rites. The Christian stance on Jesus gave the character and development of Christian worship. The break was sealed when Christian assertions about the divinity of Jesus made it impossible for Jews and Christians to worship together. The more significance that was attached to the person of Jesus, the greater the separation between Jews and Christians. The statues of Christ’s divinity become the problem for monotheism. Shaye Cohen argues that the separation was in believing in Jesus resurrection and statues as Messiah. That in the practise, when early Christianity ceased to be a Jewish sect was when it no longer observed Jewish practices, Shabbat, the rituals of Jewish law and Circrumsision, lead to the separation between Church and Synagogue. Traditions about the fat of the Jerusalem Church are partially contradictory. 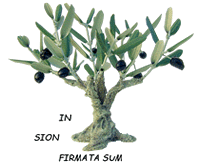 Zacchaeus, bishop from 112 until 119, the fourth bishop of Jerusalem, who was of Jewish origin. Matthias, bishop until 124, eighth bishop, who was of Jewish origin. The fall of Jerusalem and the decentralisation of Jewish authority which moved the centre from Jerusalem led the church to the establishment of Rome as the seat of authority in the western church and the elevation of Peter. Was James position us the head of the Jerusalem church minimised because of Pauls susses in his Mission where non Jews where exempted of the rituals of Jewish law? Was history written in favour of the gentile movement and Rome becomes the Jerusalem of the new movement? The fact that Christianity began as on of several movements within Judaism and emerged in the period of Constantine as the State religion lends some credence to this view. The four distinguish features of Judaism, circumcision, keeping of Shabbat, special food laws, and the belief in one God. Over this very question Christianity moved away from Judaism and as Christian writers emphasised that the ritual prescription of Judaism where not to be taken literally. Following Jewish practise was condemned by the developing church who grow more and more from Gentile background. When Graeco Roman writer began to write about Christians they did not speak of them in connection with circumcision, keeping of Shabbat, special food laws, and the belief in one God, but began to define itself against Judaism as they also used terms that related to Graeco Roman culture. Acceptance was necessary in order for Christianity to establish itself. 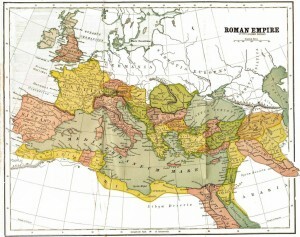 Judaism was well established within the Greaco Roman world. (Joan Taylor ) Jewish Christianity all ethnic Jews who with their gentile converts upheld the practise of Judaism. The Jewish Christian movement was quelled thought the attitude of the majority of non-Jewish membership of the church. Eventually the Jewish Christian disappeared as a viable movement. The isolation of the Jewish Christian was part of the process of the separation of the church with Judaism. The developing Christology of the church and not Jesus faith became the main content of the Christian religion. Justin Martyr was the earliest of the church fathers to declare that the Jews cursed Christians in their synagogues by the prayer of the twelfth Benedictions. Jewish- Christianity was marginalised by both groups of Jews and Christians alike it had many variations. Many of the same issues that were unacceptable to Jews, divinity of Christ, or that the Jewish ritual law which was not practised or also expressly forbidden, and where Christology was suspected. Jewish- Christianity was once the original form of Christianity when Christians where still Jews and as there is no direct line of the developing church of Jerusalem it is more realistic to look at the Jewish Christian belief and worship as a natural extension of Christianity’s origins within Judaism. The Disciples who walked with Jesus through Galilee, Samaria Judea. The ones who believed in the crucifixion and the resurrection of Jesus. Thy belonged to the local synagogues but began to differentiate themselves at a early date from other Jewish communities by nomenclature, rather then by structure. These are Jews who lived in Jerusalem, Judea, Samaria Galilee. Greek Jews who lived or come to Pilgrimage to the Temple. Greeks and Romans who heard the message of the Disciples preaching in there country’s. Christians with Jews anymore. By the time 64 Nero does not confuse between the Jews and the Christians. The Christians a Jewish sect who lived in Rome and where made responsible of the burning of Rom not the Jews as a group. NKJ Acts 6:1 now in those days, when the number of the disciples was multiplying; there arose a complaint against the Hebrews by the Hellenists, because their widows were neglected in the daily distribution. The evidence from Acts suggest that early Christian organisation was modelled on that of the synagogue, and it would take until the fifth century for the Bishop of Rome to asset his influence and begin to centralise power over the western part of the church. Spiritual authority’s where referred to by name not by title. In Jerusalem after the destruction of the Temple community moved to Galilee and Jaffa. After the ascension of Jesus the disciples go back to Jerusalem and the stayed as a community to pray together. The successful Jewish propaganda which showed the superiority of Judaism as a moral and monotheistic religion over paganism, paved the way for the Christian mission. Flussser affirms that the change in direction from the east to the west which was settled by non Jews was pivotal to the success of the Christian mission and resulting in Christianity developing into a European religion. Thus he sees western liberalism as a contributing element in the non Jewish world acceptance of the Pauline ideological framework. What did the first Christina Community do? And through them miracles happened. In carrying for the sick and needy. What did the first Christian believe? In a New Covenant (for some writers like in the Epistle Barnabas 4:6-6 which has replaced all other covenants). Because the Jews have lost their right to it through unworthy behaviour. Love of neighbour and stranger enemy. There Clothing was simply cloth of the country. Mission is not done in public places but in gentile announcing sharing Jesus. They lived like everybody else and participated in social and business life. The shared a deep respect for on another. Master slave, Men Women. Not what the said but how the lived become the salt of the earth. First Martyrer not one who preaches the Word but who lived the word. How did this first Christian live. What is the reaction of the other towards this new believe. 9:2 nd asked letters from him to the synagogues of Damascus, so that if he found any who were of the Way, whether men or women, he might bring them bound to Jerusalem. Calling speaking in the Name of Jesus. Apg:8:35 Then Philip opened his mouth, and beginning at this Scripture, preached Jesus to him. Acts 9:27 and how he had preached boldly at Damascus in the name of Jesus. The early church councils and synods are an indication in the 4 century that separation from Judaism still had not taken place and the growing hostility towards Jews as Christianity become more powerful. The problem is the judaising practices which where still alive in the even more growing gentile church. The origin of the church in Judaism and the claim by the church that it was the new Israel, the law had been fulfilled in Christ and is in no need for Jewish rituals any more. As Christianity tended to see itself as the continuation or fulfilment of Judaism. The first councils where all held in the east where the Jewish population was grater and only when they councils began to emerge from the west anti Jewish cannons began to appear. Canon 78 adulraty with jewesses severely punished. Canon 50 also to eat with Jews is forbidden. Canon 29 making Shabbat a festival becomes a crime. Canon 49 fields blessed by Jews al this are forbidden and could bring about the complete exclusion from the church. The observance of the Shabbat, ritual feasts, and the dietary laws apparently also possessed a magical power in the eyes of the Christian masses. Phillip Sigal postulates that judaising in the church during the early centuries in reference to the date of Easter, food practise, or the observance of the Shabbat was not the effort of Jews to judaise a gentile church ,but the struggle for preservation of elements of Judaism within the church among Christians who experienced confusion. Canon mumber 16 of the Synod of Laodicea in Prygia about 360 CE says “On Saturday the Gospel and other portions of the Scripture shall be read aloud”. In the effort of transporting Jewish customs we find in the Diadache 8,1 Christians are not to fast on Mondays and Thursdays but Wednesdays and Fridays as not to fast according to the traditions of the Jewish custom. The church network has been strengthened by the official recognition by the Christian emperors when Christianity became a licit religion. The church grew steadily, it s number multiplying beginning with the time of Constantine. The Fall of the Roman Empire in 476 and the growing power and intolerance of the church towards Jews .The church und the secular authorities collaborated together to erode the position of Jews, so that eventually there was separation between Jews and Christians on the social level also. It was the Theodosian codes, in its restrictive measures against the Jews which set the lines for the growing lack of tolerance. The Theodosian Codes were a significant step into the direction of the juridical separation of the church from Judaism. The Justinian code in the Sixth Century gave away the many protective and privileges which could one find in the Theodosian code concerning the Jews. The Shabbat become only forbidden for christens when Sunday become the substitute for the Jewish Sabbath and this process took several Centuries. In Col2.16-17 hear Paul does not discuss the Shabbat law, he only says the law of love has to be obeyed “ For he who loves his neighbour has fulfilled the law” (Rom13:9) Hellenistic Egypt and the rest of the Hellenistic Christian East practised the observance of both the Sabbath and Sunday up to the 5 Century. The Apostolic Fathers literature does not cite the resurrection as being the primary reason for the celebration for the Lords Supper or for the observance of Sunday. In the Epistle of Clement (80-140), he tends to show the continuity of Christian tradition with Jewish tradition , rather then its separation from Judaism. In the Epistle of Barnabas (80-120), in his writings he tends to emphasis strongly the differences between Judaism and Christianity. But despite its opposition to Judaism and its comment against Jews, the epistle of Barnabas makes use of materials that are of Jewish Origin in order to construct its theology. Ignatius of Antioch takes similar stands like Barnabas and it seems that groups of Christians are still observing Shabbat and celebrating Sunday as the Lords day. The Didache (50-120), the most ancient source of church legislation tells us that a regular celebration of the Lords supper was lived among the first communities. With the writings of Justin the Martyr (150-160) we know the link of Sunday as the first day of the week with its link to the resurrection and creation of the World. By the fourth centuries the Sunday and Shabbat celebrations are still conmen only by the 6 century’s the transforming Shabbat Symbolism to Sunday gave way for the church to take advantage of the transformation from Shabbat worship to Sunday worship. One of the most important Jewish Feast was then Christianised by the end of the fifth century.